Rock the times with this Ideal Free Spirited Italian Crepe Sky Blue Long Tunic, an absolute wardrobe must have. This stunner is made out of Italian crepe and comes printed with yellow, orange, green and blue ethnic floral print all over it. 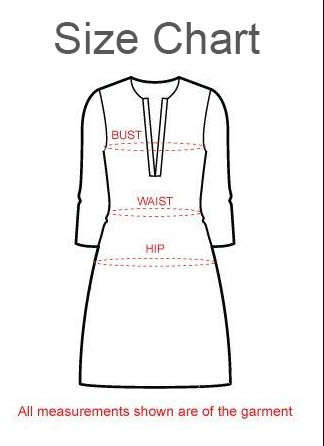 The neck is round and the tunic has full sleeves with print design on cuffs. Team it up with a contrast pair of jeggings and you are good to go.